Homes & Interiors Scotland is a bi-monthly home style magazine. 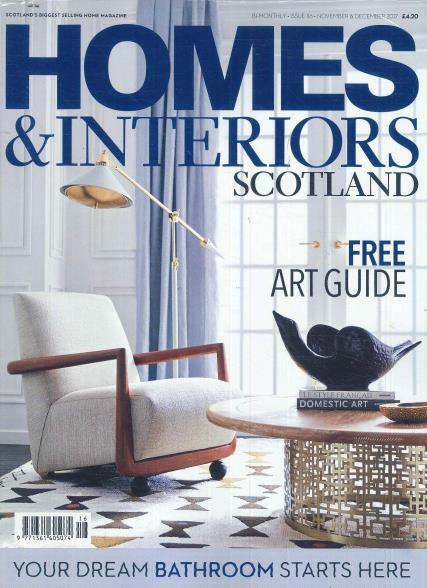 Buy a single copy or subscription to Homes & Interiors Scotland magazine. A Homes and Interiors magazine subscription is ideal for anyone looking for tips and ideas to make their home beautiful and luxurious. Every issue of Homes and Interiors magazine is brimming with lavish house features and Scottish treasures along with the best tips and ideas on how you can make your home striking and contemporary. From inspiring colour schemes to the latest in contemporary and classic design, a subscription to Homes & Interiors Scotland magazine is sure to satisfy the most curious minds.